Ballymena Bookclub meets this Wednesday Night at Waterstones Ballymena. 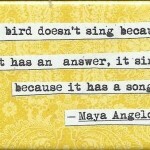 This month the book was I Know Why the Caged Bird Sings by Maya Angelou. 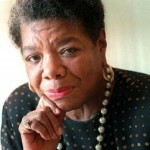 Maya Angelou was an African-American author, poet, dancer, actress and singer who sadly passed away in May of this year. 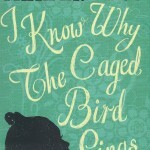 Her book I Know Why the Caged Bird Sings is a memoir of her early years growing up in America which cover her strict upbringing, abuse and racism she experienced at that time. It is sure to cause some great discussion. Ballymena Bookclub meets at 7.00pm on Wednesday night and next months bookclub book is We are All Completely Beside Ourselves by Karen Joy Fowler and will meet on the first Wednesday night of October.